An eye-widening immersion into the dangerous world of illegal counterfiet goods, seen through the eyes of those trying to stop it. 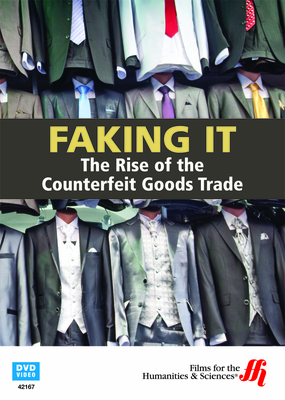 Anything a large company can produce can be faked by counterfeiters. This telling documentary takes viewers deep inside the world of illicit counterfeit goods. The industry goes far beyond knock-off toys and clothing: Batteries, foods, and even medications are big business for shady criminals. The products produced in counterfeiting warehouses overseas are often unsafe, to the point they are lethal. Undercover agents manage to sneak cameras in behind the scenes, showing the dismal working conditions of factory laborers who are frequently very young and inexperienced. Shoddy fake products are tested, revealing just how dangerous they can be. The prevalence of forged merchandise is not regulated only to cheap importers either. Agents across the globe find counterfeit goods, even in more reputable businesses, who are duped by the more skilled of criminals. The internet also plays a huge role in the fake goods market, particularly in medications, where counterfeiters often use unknown ingredients to pass off as genuine drugs. Millions of patients could be at risk. This movie is an up-close undercover look at the shifty world of counterfeiting, and what is being done to stop it.